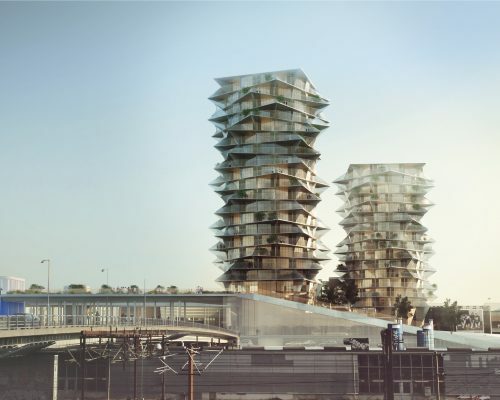 From total renovations of general residential areas to The Øresund Trilogy designed by Bjarke Ingels Group. We build homes of all sizes, for all generations and in all parts of Denmark. We take an active part in the development of innovative solutions to raise the level of ambition for sustainability and indoor climate in housing, and in the field of certification we cover DGNB, BREEAM and LEED. 40 social housing units in 6 buildings of 3 and 4 storeys respectively. 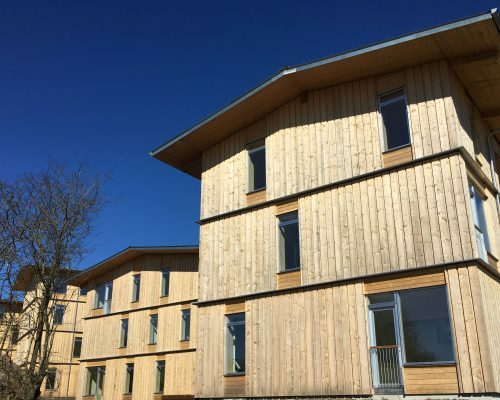 The construction project is the first of its kind here in Denmark, as we have used design principles that are used abroad for wood buildings of up to 10-12 storeys. In 2018 the project was awarded building of the year in Denmark. The shortage of student accommodation in the capital is enormous. 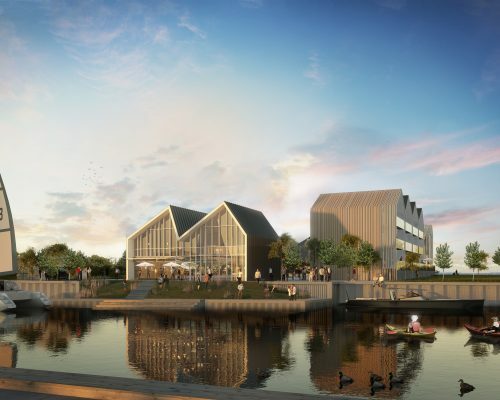 That’s a challenge Danica Pension wanted to address when it decided to build Nordbro, a student accommodation complex in the Nørrebro district of Copenhagen. The building provides housing for 700 students and will consist of a corner building, five standalone buildings of 6-7 floors and a centrepiece 100 metre-high tower of 29 floors. This social housing development in Aalborg has been completely refurbished. The project comprises a total of 319 tenancies spread over 10 3-storey blocks and 1 apartment building with 13 floors. 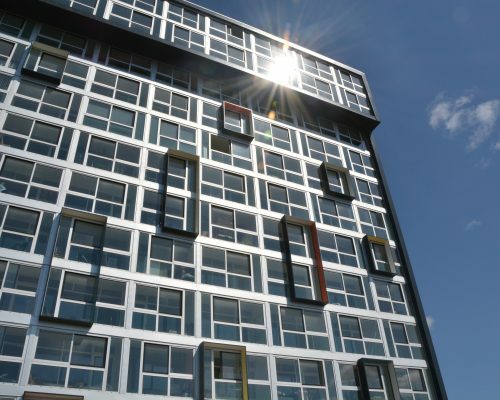 1-bedroom apartments have been amalgamated and penthouse apartments built on the 12th and 13th floors of the tall block. We are helping to create a good framework for the older generation. At an old ferry berth in Nyborg, 39 general senior housing units are being constructed, with an expression inspired by classic boathouses. All the units have plenty of natural light and views of the sea. There is direct access to the footpaths along the seafront promenade, and the entire community is connected by a shared communal house with space for joint activities and social-ising. 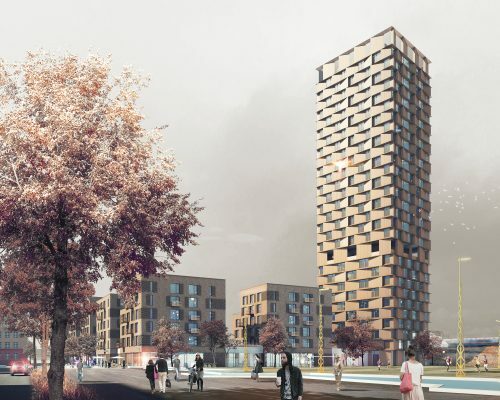 The overall renovation of Mjølnerparken will also open up this housing estate’s prospect towards Copenhagen and create a safe environment for the residents. The public streets are drawn into the buildings, which are divided into four separate blocks, each with its own façade, a strategy intended to break monotony. Each block will have its own enclosed and intimate courtyard. Kalvebod Brygge is undergoing massive change. 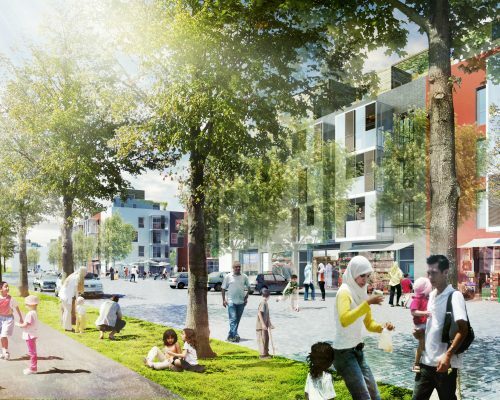 In the future, the entire strip of new buildings will be connected by a long green trail, which will emerge as an elevated public park that will wind through the buildings from Bernstorffsgade to Kalvebod Pladsvej. The Cactus Towers are one of the many projects we are involved in here. The two high-rise blocks, 60 and 80 metres high, accommodate 500 housing units for young people.